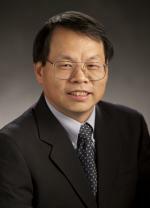 A human-environment scientist and sustainability scholar, Jianguo "Jack" Liu holds the Rachel Carson Chair in Sustainability, is University Distinguished Professor of fisheries and wildlife at Michigan State University and also serves as director of the Center for Systems Integration and Sustainability. Liu came to MSU after completing his postdoctoral work at Harvard University. He also has been a guest professor at the Chinese Academy of Sciences and a visiting scholar at Stanford (2001–2002), Harvard (2008) and Princeton (2009). Liu takes a holistic approach to addressing complex human-environmental challenges through systems integration, which means he integrates multiple disciplines such as ecology and social sciences. His work has been published in journals such as Nature and Science, and has been widely covered by the international news media. Liu has served on various international and national committees and panels. He is president of the U.S. Regional Association of the International Association for Landscape Ecology (US-IALE). He also is a member of the Board of Reviewing Editors for Science. In recognition of his efforts and achievements in research, teaching, and service, Liu has received many awards, such as being name a Fellow of the American Association for the Advancement of Science (AAAS), the Guggenheim Fellowship Award, the CAREER Award from the National Science Foundation, the Distinguished Service Award from US-IALE and the Aldo Leopold Leadership Fellowship from the Ecological Society of America.